Boy, oh boy, do we have something special for you today! 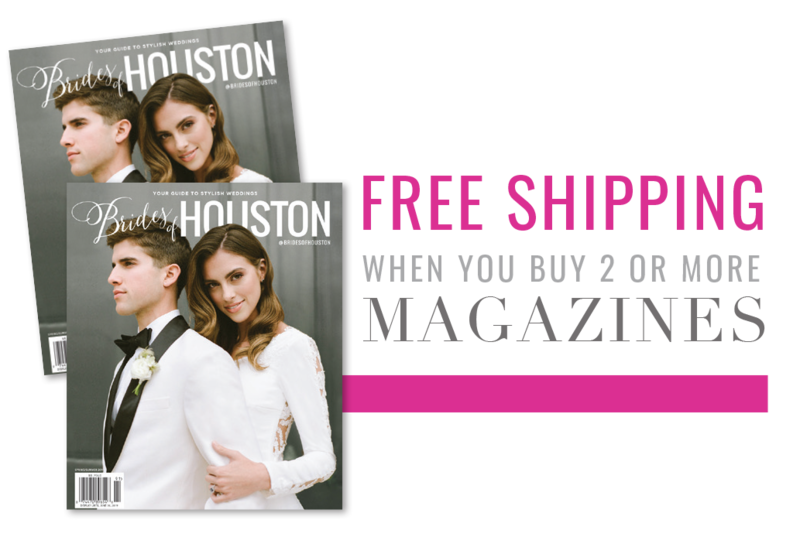 Local Houston wedding photographer, Kati Hewitt of Kati Hewitt Photography, is sharing her best advice for hiring a wedding photographer, why she loves shooting weddings, and what she’s looking forward to in 2019 weddings. 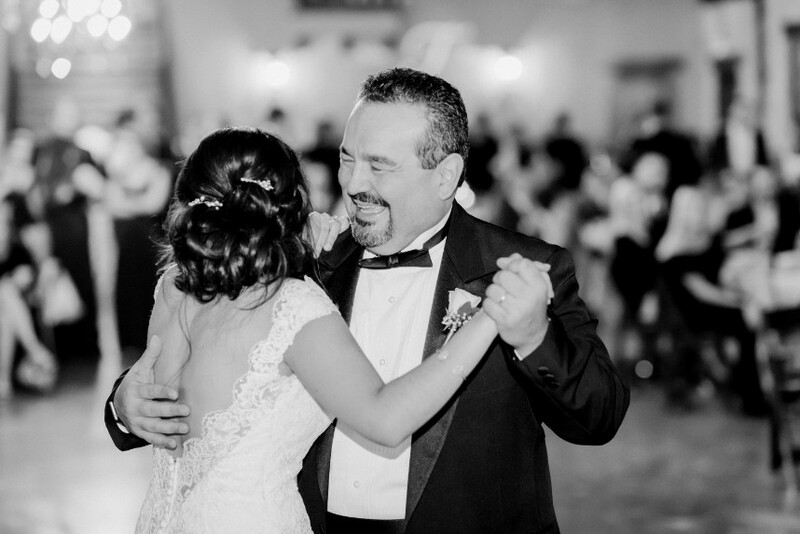 Plus, you MUST read about her favorite “awe” wedding moment from a father-daughter dance (pictured!). Keep scrolling for the insightful Q&A! We are always moved by the moments that evoke happy tears, and a recent father-daughter dance we photographed was no exception! The bride’s father wrote a special song for her and recorded himself singing it. She was completely surprised when she realized it was his voice filling the room as they danced together at the reception. The bride and her father both shared a love for singing, so it was so special seeing them dance to a song that they will both cherish forever. Cue the tears! We are always inspired by how our couples choose to incorporate special meaning into their weddings whether it’s wearing mom’s old veil or nodding to their heritage with cultural traditions at the reception. Those are always the best moments to photograph because they are sentimental and unique to the couple. We are firm believers in the importance of family heritage, and we view each wedding day as the beginning of a family legacy. We are proud of the legacy we are documenting for our couples, and we hope they will pass down their wedding photos from generation to generation. Knowing that the art we create will stand the test of time is one of the most inspiring parts of our job! I think looking through an entire wedding day captured by the photographer is a great way to understand how they photograph different parts of the day. We always encourage our brides to browse through our blog so they can see a mix of natural light portraits and indoor reception photos. It’s important that the photographer’s style complements the aesthetic and vision you have for your wedding day! 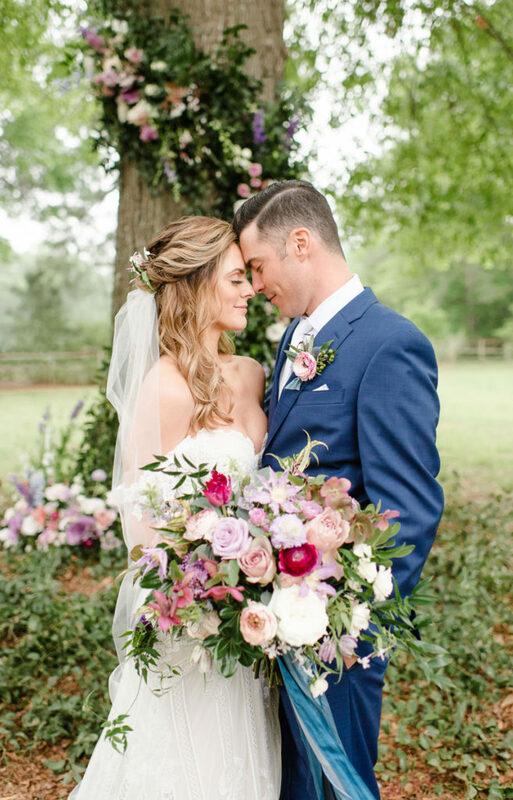 While I will always be a fan of classic black tie and garden-inspired weddings, I’m excited to see these same types of weddings infused with bright colors! I love colorful images and can’t wait to see how the Pantone color of the year [Living Coral] will influence upcoming wedding designs. I’d love to see pops of color used in unique ways in 2019. One of my favorite trends is neutral bridesmaids dresses paired with fun, bright florals! My advice is to choose a photographer whose style of photography you love and whose personality you are drawn to. When you love their work and establish a personal connection with them, you’ll find that you wholeheartedly trust them to capture your wedding day. That means you get to be fully present on your wedding day while your photographer works their magic! You’ll also be spending a lot of time with your wedding photographer over the entire course of your wedding journey which could range from several months to over a year. Your photographer will be with you when you are learning to feel comfortable in front of the camera at your engagement session, when you feel like a princess at your bridal session and when you are counting down the minutes until you get to see your groom for the first time on your wedding day. When you have a great connection with your photographer, you are able to be yourself in front of the camera and feel at ease on your wedding day. We love when we leave a wedding day feeling like we have just celebrated the marriage of two new friends! Special thanks to Kati for sharing her advice with us today! To get in touch with Kati Hewitt directly, you can message via her Brides of Houston profile here.